When Ellis Dyson invited me down to Spring Creek Barbecue to try out their beef ribs I wasn’t particularly looking forward to it. 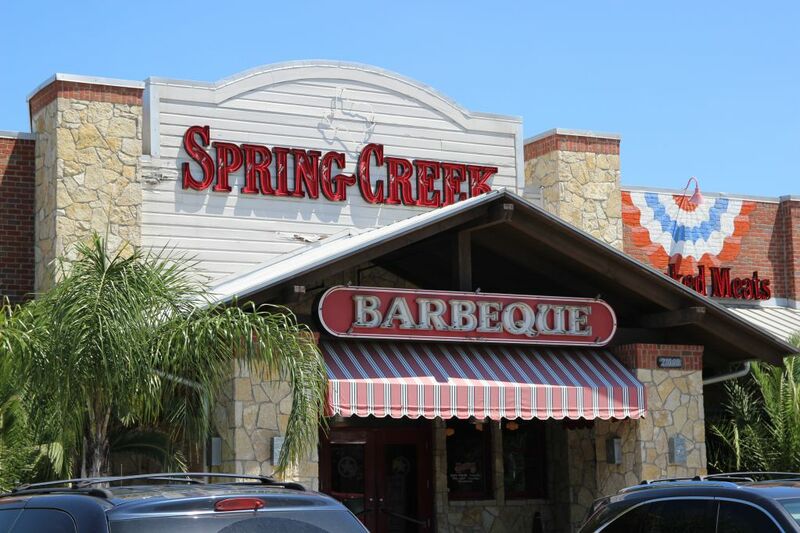 The Katy location was quite a drive from my work and well, its Spring Creek Barbecue, which I thought was a franchise chain of joints. They use gas assist smokers and a lot of customers come through the doors who might order chopped beef or potatoes. I’d even heard folk rave about their hot rolls. I don’t recall that being a foundation for good barbecue. But Ellis said to come check them out, and that they weren’t what I was expecting, so I made the drive out. 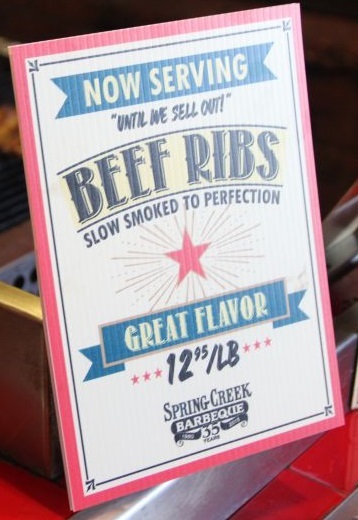 One of the first things I learned was that all thirty one Spring Creek barbecue locations are family owned. They don’t like to be referred to as a chain, while technically it still could be argued, they definitely are not a franchise nor have multiple owners. The other thing is that they’ve gone out and sampled some of the legendary Texas joints. 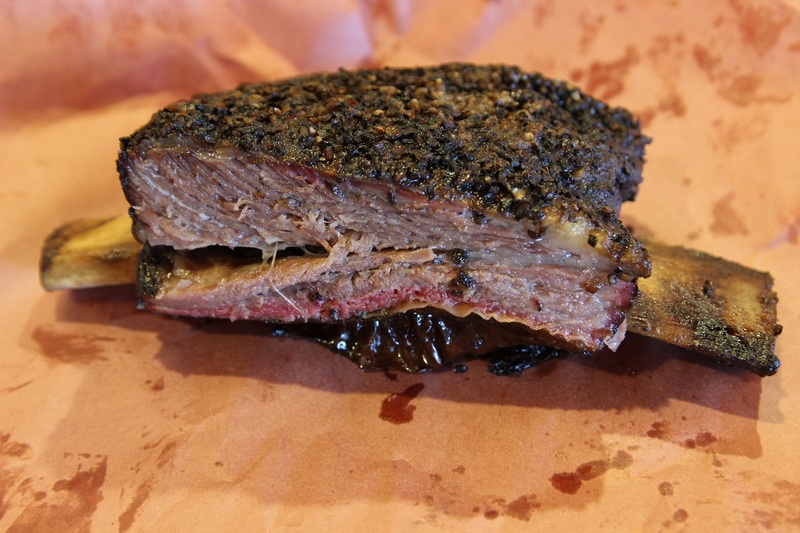 A road trip to Austin and Taylor enlightened them to what great Texas barbecue can be like. Since then they’ve striven to rise up to the challenge and to produce high quality central Texas style barbecue. Ellis also purchased Aaron Franklin’s new book and read it cover to cover. I saw him on Twitter asking some follow up questions he had to some of the passages in the book. The desire to improve and to provide quality barbecue was there. That is a large part of the equation but the question remained whether that would translate into a quality fnished product. The brisket I had that day was flavorful. The fat was nicely rendered with moist slices that pulled apart with very light pressure and the bark had nice hits of salt and pepper. This is something I could eat; something that I would recommend in certain scenarios. I won’t lie to Ellis or myself and say this was Franklin-esque (or one of the top ten barbecue joints in Texas) but this was really good brisket done well that could hold its own against some well-respected barbecue joints. It was good. I was genuinely impressed. The beef rib took me to another level of pleasure. Just viewing the pepper-crusted bark I could tell the influence of the Mueller family. Ellis had visited the cathedral of smoke in Taylor and John Mueller’s trailer, and this was a good homage to the masters. I grabbed an edge and pulled a bite away. The meat gave the right resistance as I tugged and I savored the bite. Repeated bites retained the flavor and delight and I finished off the rib quickly. As we talked he dropped the bomb on me. The beef ribs would sell for $12.95 a pound. In a state where they often sell for $18-20 and as high as $22, this came as a shock. You could buy one of these chuck ribs, a drink, and a slice of bread or roll and still get away for around $10 total. I could eat this all the time. I had a sample at the Houston Barbecue festival and again had good brisket. A second visit to the retail location a week later rewarded me with the same quality on both brisket and rib. Currently the ribs are only at their Katy location and I don’t know if they will be able to replicate the quality across all thirty one locations but I can tell you I had really good barbecue at their Katy location. I will stop by a couple of the other Houston locations throughout the year and see if the quality is consistent, but based on my visits I will also make the effort to stop by if I’m in the Katy area. 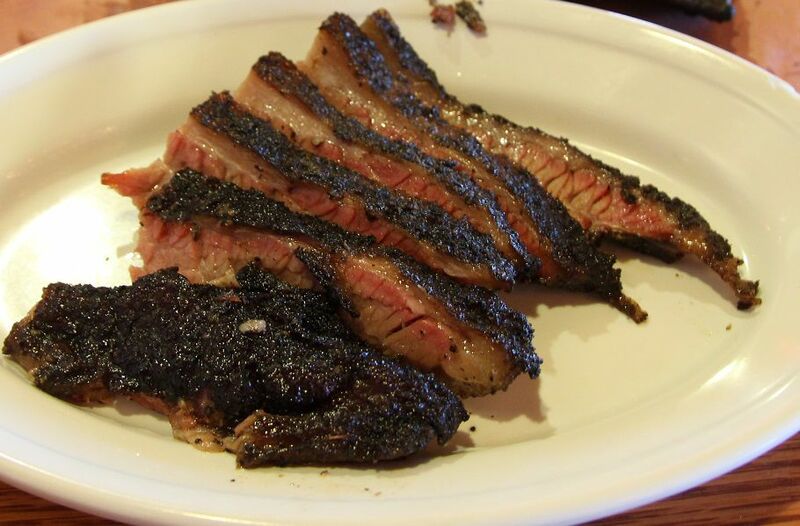 I highly recommend checking out that beef rib and ordering some fatty brisket. The beef ribs launched as a Thursday-Sunday offering but have sold out every day. Due to their popularity they will soon move to an every day option. Ellis and I talked in more detail about the restaurant and the barbecue business. That interview is below. Ellis Dyson: Chris and Becky Carroll opened the first location in Richardson, Texas in 1980. There are 31 locations now; 10 in Houston and 21 in Dallas-Fort Worth area. BBQ Bryan: Where did the name originate? When they were scouting out sites for their original location Becky came across Spring Creek, the actual creek, and liked how the name flowed. These are all family owned and operated? Yes, overseen by Chris and they will stay that way. BBQ has changed since 1980, what would you say has changed the most? I would say it’s not the poor man’s food anymore. People are more educated about it, there is more appreciation of it. In the past eight to ten years especially there is much more respect for the barbecue industry. It seems that there has been a need for education of the customer, and you’ve added the sign describing lean and moist cuts, have you seen that education come through? Absolutely, I think that signage has helped a lot. We have some guests who just don’t want the fattier meat and they didn’t know they could order strictly lean. There are those that want the fattier meat but thought they might have to pay differently. We just want to cut it and let them get what they want. We do trim it if they want lean, as lean as they want to get it. Some customers want all the fat cut off, right? What’s the most popular item? I’d say 60-70% of the people get beef in some form; sliced, chopped or on a potato. The potato is really popular in Houston. Have you added anything to the menu other than beef ribs since starting? 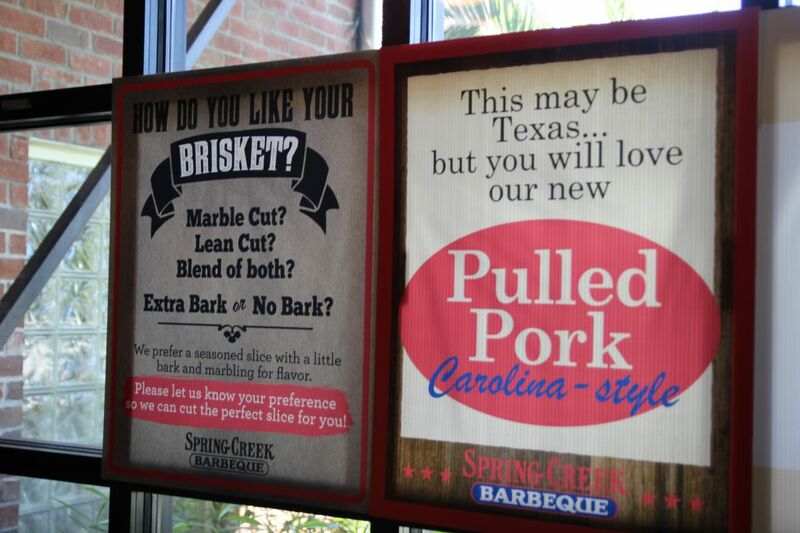 About two years ago we added the Carolina style pulled pork. It’s not a traditional Texas item. It has the mustard and vinegar style sauce. We try to do our best impression of Carolina sauce. What was the impetus to add the beef ribs? It was at the Houston Barbecue Festival in 2014. I’ve had a few beef ribs here and there but I had never really fallen in love with them. I fell in love with them last year. I said “We’ve got to do that” so we worked on it and worked on it. It kind of sat on the back burner and we weren’t going to do it and I guess about 6 weeks ago we said “alright we’re going to do this, let’s push it”. We rolled them out April 30th at our Katy location. I’ve notice that you’ve also worked on your brisket quite a bit. What was the launching point for that change? Was there an epiphany at some point where you thought you should go back and work on it? Well I think there are two things; any company that is not trying to improve is probably going to go backwards at some point so we are always looking to do the best we can no matter what our product is. I woke up this morning thinking “what can we do to make the beef ribs better?”. The launching point was my first barbecue tour. I went to Austin one time and I had Franklin’s brisket and I said “wow”. I had a ½ pound of brisket, pork ribs, sausage, beans, and potato salad. Was there any other place that stood out on that trip? Oh yeah, Louie Mueller, John Mueller, Southside. After that trip, what did you change? We were trimming the brisket after we cooked it, taking all the bark and the stuff you worked so hard off. The brisket would dry out as it was holding. It was not the quality that we are serving today. We’re real proud of the product we’re serving today. There’s a lot more moisture in it. There is a definite difference in the fatty and the lean. It’s basically a 24 hour process from trimming to seasoning to cooking. When you changed your process, did you notice any change in your clientele’s ordering? We’ve increased the number of people ordering beef, the numbers speak. We’ve had it in the Houston market at all locations for about two years and the numbers continue to rise. What we noticed is the education. Now we have customers who come in saying they want moist beef with extra bark. Its an education process for us and the guests. Surprised me how successful it’s been and the feedback we’ve gotten on it. Lots of guests tell us it’s a great product. Your eyes don’t deceive you. With thirty one locations how are you trying to be consistent with the quality? The brisket we have today is in Houston and we’re rolling it out in the Dallas-Fort Worth area. It’s an ongoing thing; to check in with the cooks who get here at 5AM. It’s our top priority daily. Do we make mistakes? Yes, but we’re going to do our best to fix them. Any restaurant that says they don’t make mistakes is probably lying to you. It’s a constant follow up, and sampling lots of beef. With so many locations is it hard to find the right people to cook? Is it something that you feel can be trained or do some pick it up naturally? Well you can train them to a certain level and they can get to a certain level but if they don’t have the passion to serve the best food day-in and day-out it will show. I’m proud of what we’re doing, the main guy who gets here at 5 o’clock. The beef ribs, is this just a test or something that will be added across more locations? Long term is to have it at all locations, if they sell well and if we can deliver the quality of product we want day-to-day. It will be the only item we offer which will sell out. When they’re gone they’re gone. All of our other products we do not run out during the day. Ten hours a day, seven days a week. We do try to run out during the last hour because we trash what doesn’t. For the beef ribs we’re hoping we sell out by mid-afternoon. Speaking of selling through dinner, how difficult is it to keep the meat on point throughout the day? It’s really hard. We’re targeting basically five different zones. We don’t want to cook all the brisket in the morning and have it sit all day. We’re constantly cooking and pulling briskets of the pit all day. Basically there is meat cooking 24/7. You use Ole Hickory pits? What do you like about those pits; what is the advantage to using them? Obviously it helps us control the temperature, it can keep it up to temp without watching so close. We like the rotisserie too. We can cook a lot and get a few hours of sleep every night. You guys still run wood. How much do you go through? About a cord a week. It’s funny because the gassers get a bad name but once the fires burning and the wood’s going, the gas doesn’t have to kick on. Maybe in the middle of the night if it drops temperature, but they hold temp well. I’ve told some buddies one day I’ll put a camera on that pit and count how many times the gas kicks in. I think that’s what some people don’t understand, with a gas assist if you run it right the gas doesn’t need to come on much. Of course some places will run very little wood and lots of gas but it doesn’t have to be that way. Right. We’re cracking the fire boxes open, moving coals around, adding wood. I’m going to eventually figure out how to add a damper to the pit. You know, gas is such a frowned upon thing when it can be no different than using a Texas Torch to get the fire going. As far as expansion, is there anything you’d like to or could talk about? We’d certainly like to put a few more locations in Houston, but it’s not something I can really talk about at this point. As long as we can stay consistent with the product we’re going to serve, Houston’s a big city that continues to grow. Maybe some more markets, I don’t know. 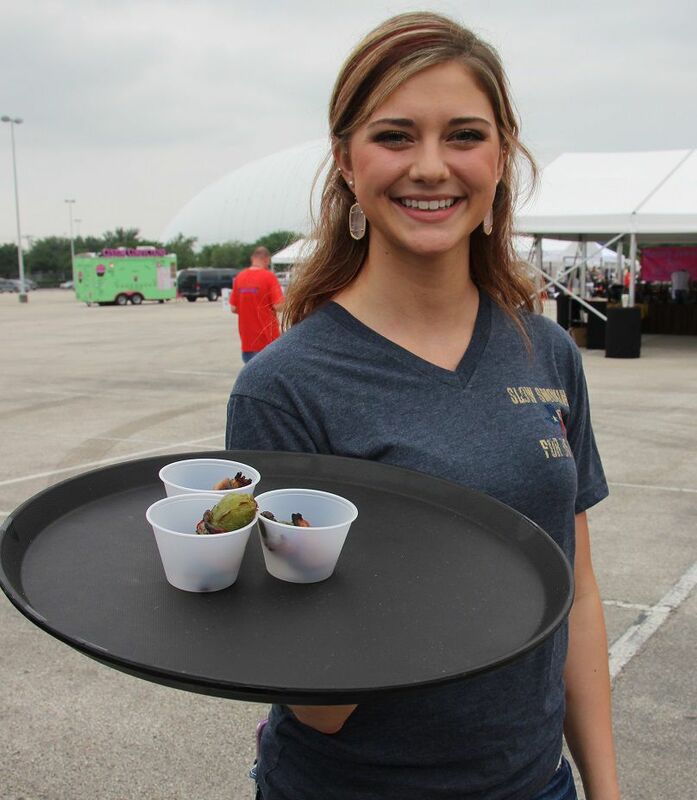 You were at the Houston Barbecue fest on April 26th. How did that go? It was better this year than last when it was cool and raining. I had a lot of fun, it’s a blast. It’s so much fun just to get out there and see the other guys and ladies; try the other food and see how everyone else is doing it. Barbecue is different than other restaurant concepts. I walked into Kreuz market one day and was given an hour tour of the pits and told me everything I wanted to know, and I’d do the same for them if they walked in. Barbecue folks aren’t out to stab one another in the back. We want to keep getting better. One day you might learn something new. I was talking to Ronnie (Killen) and he said some things I might want to try, you know. Barbecue folks are all in it to win it together and that is what is so great about it. 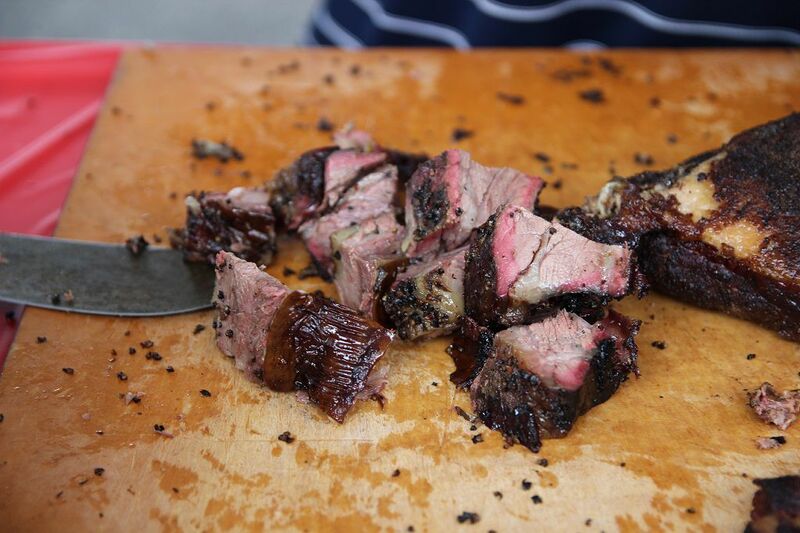 It (the Houston Barbecue Festival) is not a competition, it’s a festival. My friends in the Katy area asked “what place did y’all come in?” so you have to explain it to them. They’ve asked why we don’t do a cook off. We’re not serving four bites, we’re serving several hundred a day. That’s our competition. Anything else you’d like to cover? The big thing that really surprised me is that the more I get into it and the more I go to things like the festival, people really think we are franchised. Spring Creek has a single ownership. Chris Carroll started this 35 years ago and is still the owner of every one of them. Do you feel that with him behind it that is better than a franchise? Absolutely. We probably get five calls a week asking to buy a franchise. Franchisees will go off onto their own path. Chris is still there every day. We cook everything in house. When you say in house do you mean from a central location or at each individual? Our sauce is made in house. Each individual store makes it, every day. The vegetables and the sides too. ← How much are you paying for that giant beef rib bone?